A strange vaccine-related phenomenon spotted at the start of the 2009 flu pandemic may well have been real, a new study from Canadian researchers suggests. A strange vaccine-related phenomenon spotted at the start of the 2009 flu pandemic may well have been real, a new study suggests. 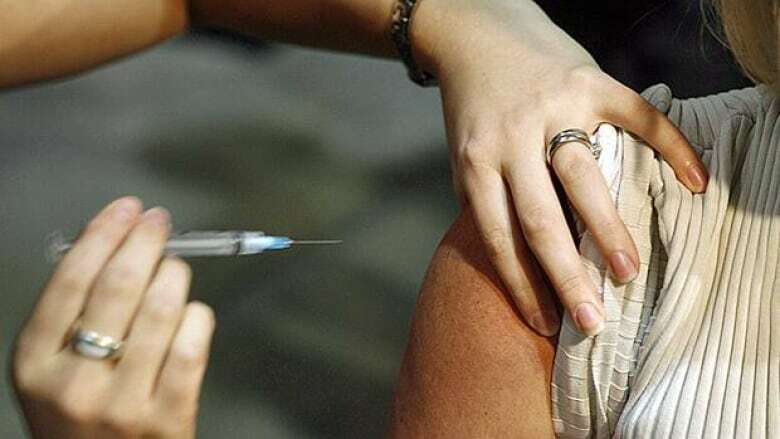 Canadian researchers noticed in the early weeks of the pandemic that people who got a flu shot for the 2008-2009 winter seemed to be more likely to get infected with the pandemic virus than people who hadn't received a flu shot. Five studies done in several provinces showed the same puzzling and unsettling results. But initially, research outside Canada did not, and the effect was dismissed as "the Canadian problem." News of the unexpected findings broke at a time when countries in North America and parts of Europe were getting ready to start vaccinating their populations against the pandemic virus. Some jurisdictions were also trying to figure out whether to offer the seasonal flu vaccine they had purchased — similar to the 2008-2009 shot — along with the pandemic vaccine, in case the seasonal flu viruses continued to circulate. Quebec opted not to offer the seasonal vaccine because of the concerns raised by the studies. Many people in the flu research and public health communities found the whole event unhelpful, and many rejected the findings. Some suggested if there was a problem, it might have been with the flu vaccine used in Canada, because the problem wasn't seen elsewhere. But a new study suggests the findings may indeed have been real. A group of Canadian researchers recreated the event in ferrets, the best animal model for predicting how influenza will act in humans. They worked with animals because it would have been unethical to subject people to the health risks the work entailed. She and her colleagues worked with 32 ferrets, giving half the 2008 seasonal flu shot and the remainder a placebo injection. The work was blinded, meaning the researchers didn't know which ferrets received which shot. Later, all the ferrets were infected with the pandemic H1N1 virus. "The findings that we show are consistent with the increased risk that we saw in the human studies," Skowronski said. She said that in the time since the pandemic, researchers in other countries have reported a similar interaction. The reason for the effect is unclear, and Skowronski urged other research groups to take up the question. She said it is important to get to the root of what happened, before the next pandemic. But in the meantime, Skowronski insisted the findings should not deter people from getting seasonal flu shots. "I do think it's important to clarify that our findings are unique to the pandemic," she insisted. "Pandemics are infrequent occurrences, but seasonal influenza recurs on an annual basis. It's a substantial cause of morbidity and mortality," — science's term for illness and death — "and the seasonal vaccine substantially protects against that severe outcome due to seasonal influenza." Two theories exist about what might have been behind the effect, said Skowronski, who favours the first. That theory relates to the fact that the 2008 vaccine protected against an H1N1 virus that was related to — but not similar enough to — the pandemic virus to generate antibodies that would neutralize it. The thinking is that might actually have facilitated infection with the pandemic virus. Skowronski likened the mechanism to what happens with dengue viruses. People who have been infected with one subtype of dengue don't develop immunity to the other three. In fact, they are more at risk of developing a life-threatening form of dengue if they are infected with one of the other strains. Skowronski called the second theory the infection block hypothesis. Having a bout of the flu gives the infected person antibodies that may be able, for a time, to fend off other strains; flu shots only protect against the strains they contain. So under this theory, people who didn't have flu in 2008 because they got a flu shot may have been less well armed against the pandemic virus. If the first theory is right, the strange effect seen in 2009 might only occur in a pandemic in which the new virus was related to a circulating human flu virus, Skowronski admitted. "My own opinion, my own feeling would be that if you have a completely different hemagglutinin like H5 or H7 ... you may not see that," Skowronski said. "But who knows, frankly? The wise man knows he knows nothing when it comes to influenza, so you always have to be cautious in speculating."